In Style & On Time – Every Time. Available to you and your colleagues for your business meetings anywhere in the Tampa / St. Petersburg metro area. We offer both hourly and daily rates to meet your specific needs, based on your meeting schedule, and guarantee to get you to your appointments in a timely manner. Our services are available to and from your home, hotel or office, to both Tampa International Airport and Clearwater / St. Petersburg International Airport. Our drivers meet clients inside the baggage claim and is waiting upon arrival or, if preferred we can arrange a quick curb-side pick up after your luggage has been collected. Are you on the run? Whether you’re a Business Person, Traveler or Tourist, why not schedule your next Town Car or Limo service in the Tampa / St. Petersburg area with Tampa Metro Transport? Call us today (727) 455-1644. We offer luxury Town Car Service to or from Tampa International Airport or the St. Petersburg / Clearwater airport. We can accommodate any size group, and will coordinate airport pick-up and delivery service to your hotel or corporate meeting site, with our fleet of Luxury Town Cars & SUVs available for all your needs. 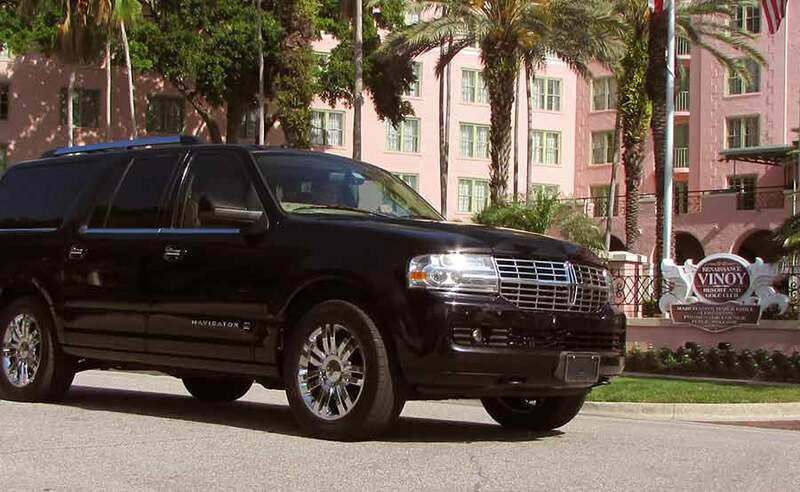 The unbeatable combination of Tampa Metro Transport’s Tradition, People and Equipment means Service, which is the most important measure of our success in delivering Luxury Town Car and Limousine services in Tampa Bay.